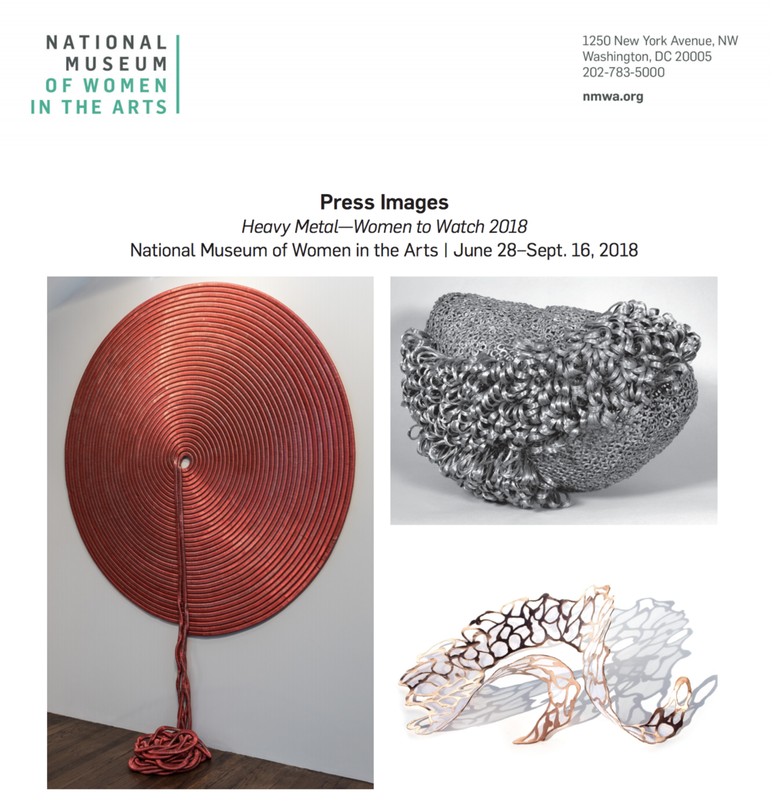 Earlier this year, I received a letter from the National Museum in Women in the Arts that said I had been selected to represent the NMWA's Greater Kansas City Area Committee in the upcoming exhibition Heavy Metal / Women to Watch 2018 in D.C.!! The NMWA is the only major museum in the world solely dedicated to championing women through the arts. This opportunity was made possible by the recent exhibit at the Kemper Museum of Contemporary Art curated by Barbara O'Brien in collaboration with the NMWA's Kansas City Chapter. Opening: Thursday, June 28th: 10:00 a.m. - 5:00 p.m.